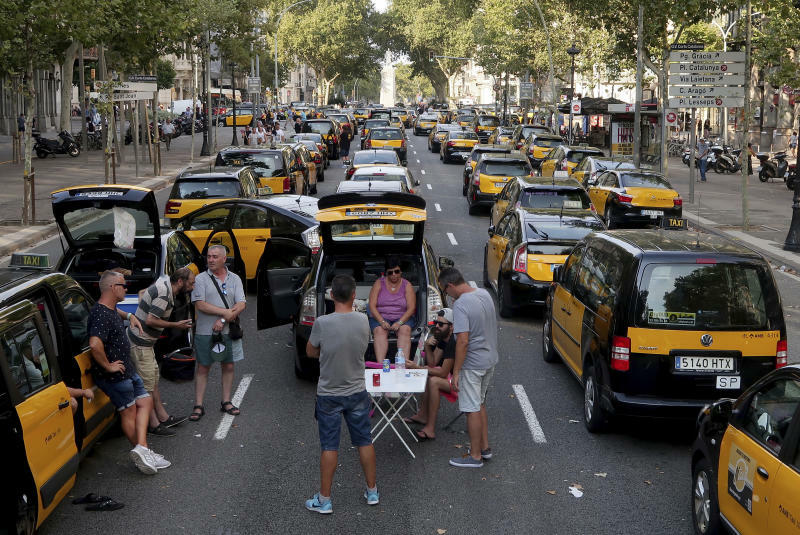 MADRID (AP) — Traffic is still snarled in some of Spain's biggest cities as striking taxi drivers are extending their protest against ride-hailing services. 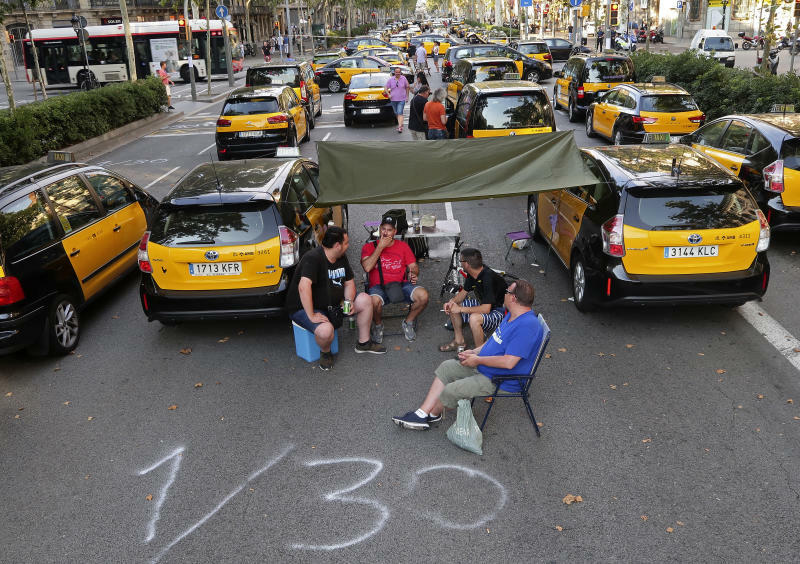 Hundreds of taxis have spent a fourth consecutive night parked on the Gran Via, one of Barcelona's main downtown roads, while dozens of protesters slept in tents along Madrid's famed Paseo de la Castellana. The protesters want to keep a ratio of 30 taxi licenses for every one granted to app-based services and are angry over a court's decision to suspend that measure. After failing to break the deadlock in Monday talks with taxi driver representatives, Spanish government officials were due to meet Tuesday with an association that represents companies such as Uber and Cabify. Protests have also disrupted traffic in Valencia, Malaga and Zaragoza.